Max is a lonely boy with a wild imagination, and after having an argument with his mother in front of her new boyfriend he runs away from home in his wolf costume. He finds a boat in a pond and sails across the ocean to a strange island. On this island he meets six creatures, and after convincing them he is an all mighty king, he leads them in an attempt to live in peace and harmony. 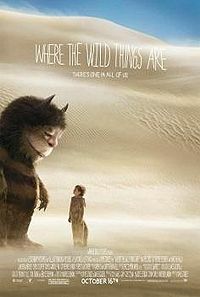 Where The Wild Things Are is a powerful movie, created by one of the best directors in the business Spike Jonez. The visual style of the movie is amazingly beautiful, it’s simplistic yet deep nature creating a feeling of the island being a different world compared to the start of the film. The creatures are full of emotion, and the plot explores and delves into an emotional rollercoaster ride of joy, sadness and understanding. When leaving the screen you will have a feeling that you have seen something special. My only criticism would be that when based on a classic childrens book, the movie will have limited effect on that demographic. This movie is full of adult ideas of childhood, yet not enough ideas that will appeal to children. The subtext seems to be of a depressive nature, and while amazing it may be, simply does not translate to those of a younger generation.